MotorNuts are Nuts about cars – especially exciting new ones, so we are taking a look at what’s in store for 2018. The influx of super SUVs continues with facelifts from Land Rover Discovery SVX and Nissan Juke and new models from most of the big players including a Volkswagen T-Cross, Mercedes GLE 4x4, Citroen C5 Aircross and Jaguar I-Pace. Sticking with the SUVs, set to shake up the market for a second time is the budget busting new Dacia Duster. BMW has an exciting line up for the year including the new z4 which is looking particularly menacing and a highly anticipated facelift for the much loved 3 series as well as the launches of the X7, X4 X2, i8 and 8 series. Awesome new Audis due out this year include the compact SQ2, the sizeable Q8 and the new electric e-Tron as well as facelifts for the Q3, A1 and A6. Ford have facelifts for their favourites Focus and Fiesta as well as their SUV Eco Sport plus we love a Mustang, and there’s an even better beastier looking one of those on the way too. Posted in News, Musings of a MotorNut on 26th March 2018 . Do you like to run risks or do you like to be prepared? What would you do if you got a flat tyre? Do you have a spare wheel or a repair kit or neither? Instead manufacturers are providing various repair kits or tyre foam or slime which has limited success depending on the damage or cause of the flat. MotorNuts are a leading supplier of Road Hero space saver spare wheels and we sell lots day in, day out. 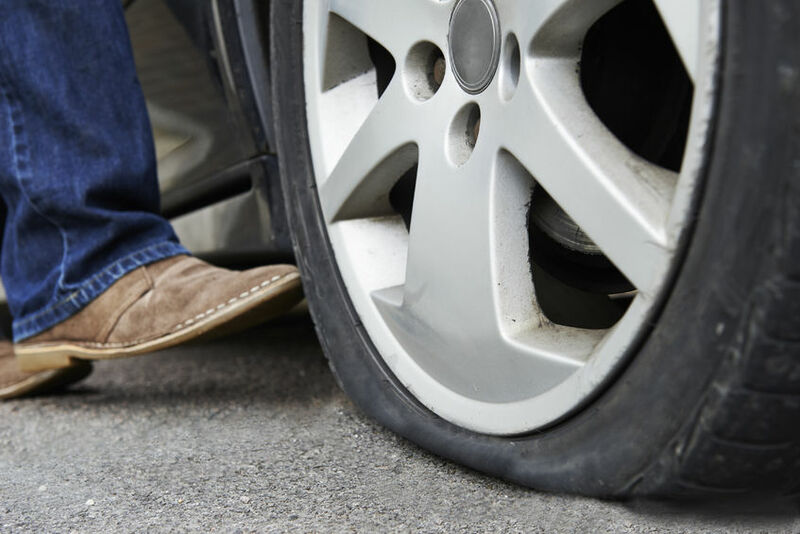 A recent conversation with a new customer highlighted the real costs of not having a spare when he got a flat tyre on the dual carriage way on a family day out. After all the headache and cost he ended the process £400 lighter still with no spare wheel. If he had a space saver he could have simply changed to it and had the damaged tyre repaired at a garage for around £15. He is now the proud owner of a space saver... you don’t make the same mistake twice. Posted in Musings of a MotorNut on 8th February 2018 . Ok so we all know that you give priority to the person on your right but what happens at a mini roundabout where there’s someone coming from every direction therefore everyone is on everyone’s right? Normally this is when the dreaded standoff occurs...you go, no you go then everyone sets off at once – we’ve all been there! We propose everyone inches forward equally and all be it very slowly teeters around the roundabout equally at about 3mph. Politeness Vs eagerness, which wins out? Which ones should we switch on when, to flash or not to flash and full beam etiquette – it’s all a bit of a grey area, all be it a well lit up one? - It’s the introduction of day time running lights back in 2011 that has started the lights on, lights off confusion I think, as now all new cars come with them on as standard. The law states head lights must be used (which in many car cases are different to the day time running lights) when it’s dark and visibility is low – the suggestion is 30 minutes before sunset and 30 minutes after sunrise as well as in heavy rain and fog. - Flashing – many road users are all too flash happy using it as there preferred mode of communication or aggression! The Highway Code says: ‘Only flash your headlights to let other road users know that you are there. Do not flash your headlights to convey any other message or intimidate other road users.” So maybe a simple hand wave would be better? - Full beam is suggested to only be used on rural roads or roads where no street lighting is present but never when cars are in front of you or coming from the other direction. If using your full beam always be alert ready to flick them off as soon as you see another car so as not to dazzle. The same rules apply on the motorway and with more council turning streetlights off you may be tempted to light up but remember the rule...because it’s not often on motorways there are no cars in front or on the other side of the carriage way. All drivers have a blind spot, that small area where mirrors and peripheral vision don’t just quite meet. Blind spots can easily hide cars and cyclists and you need to be especially aware of checking them when setting off and on the motorways before changing lanes. Van and Wagon blind spots are a big one, we’ve all seen the ‘if you can’t see my mirrors I can’t see you’ stickers on their back ends – well its true so hang back, no one likes a tailgater particularly one they can’t even see! So we’ve discussed over enthusiastic flashers and that perhaps a good old wave or similar hand gesture would be better. It’s not just helpful or good manners, its safe and often letting people out and acknowledging them for doing so for example can avoid others sparking road rage situations. Everyone’s been left aggregated by where another car has parked whether it be in the wrong place or just badly parked. A personal pet hate of mine is the misuse of ‘mother and BABY spaces’ yes emphasis on the word baby, the wide spaces are for mums needing to get their little ones out, especially babies in their carrier car seats NOT people without kids or people waiting in the cars with their kids or in my opinion for people with 10 year olds perfectly capable of exiting a car by themselves! Same can be said here for disabled parking spaces although the misuse of these is even worse as they are a legal requirement for blue badge holders. Parking on the kerb...this is also a no go, you’re not meant to do it - but what do you do in residential areas where parking with all four wheels on the road, as the law states, means blocking the road. Posted in Musings of a MotorNut on 3rd October 2017 .